What Is a Pension Plan and Should I Have One? A pension plan is a type of retirement plan similar to a 401(k) plan or a 403(b) plan. A pension plan may require you to make monthly contributions of a set percentage while you are working at the company, while your employer matches or contributes a certain percentage. There are two types of pension plans, a defined benefit plan and a defined contribution plan. A defined benefit plan guarantees that employees receive a certain amount upon retirement, regardless of their investment’s performance. This guarantees you a certain amount of money each month once you reach retirement age. The formula for this amount will vary by company, but it’s usually based on age, salary, and number of years with the company. A defined benefit plan depends largely on the investment’s performance, though the employer does match funds up to a certain amount. Is a Pension Plan or 401(k) Better? Pension plans have a long and storied history, dating back to 1875 when the first corporate pension plan was established in the United States at The American Express Company. Pensions grew in popularity because at that time most employees stayed with the company from the time they started working there until they retired. Today, pension plans are much less common. Most employers now offer a 401(k) plan instead. With the mobility that most people experience in the job market now, many people favor the 401(k) plan which you can roll over into a new employer’s 401(k) plan or an IRA when changing jobs. The 401(k) also gives you a bit more control over the investments than a pension plan. You may also increase your contributions with a 401(k) plan, while with pension plans, your contribution is set. Should I Choose a 401(k) or a Pension Plan? To put a bluntly, you may not have the choice. With less than 5% of private sector companies offering pension plans now, a 401(k) plan may be your only option. But if you work in the public sector, you will likely have a pension plan. Here’s the history: Private sector companies began phasing out pension plans in the 1980s and began offering 401(k) plans instead. However, if you work in the public sector, chances are, you’ll have a pension. If you work in the public sector (think: military, police, public education, and the like), then you may likely spend your entire career working for one company or entity. Then, it would make sense to invest in the pension plan. However, if you work in the private sector or plan to work for several companies over the course of your career, then you may not benefit as much from the pension plan. Some companies will offer both options. Your choice should be based on how long you plan to stick with the company. If you are working as a teacher, and the state runs the retirement plan, you may qualify for a pension plan and it may make sense to choose that option since you will likely keep working in the same state. However, if your plan is to leave in 5-10 years, it makes more sense to go with the 401(k). 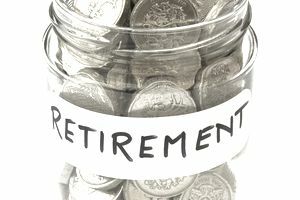 How Should I Plan for Retirement with a Pension Plan? As mentioned, there are two types of pension plans, a defined benefit plan and a defined contribution plan. Be sure you know what type of pension plan your company offers, and how much you need to contribute each month to get the most out of your plan. You should also be sure you know how much you are eligible to receive via your pension plan so you can adjust your retirement savings goals accordingly. Don’t forget to take into account other retirement income you may be eligible for, like Social Security. You may also consider saving for retirement by investing in other retirement accounts, such as a Roth IRA or a traditional IRA. Via these accounts, you can contribute the maximum allowable amount each year. This will give you more flexibility then your pension plan offers and will help you tuck away even more for retirement. Is a Pension Plan a Good Option? A pension has both negative and positive aspects, and how well you prepare for retirement using this investment vehicle depends on many factors. Overall, it’s most important to understand the specific details related to your plan. Most employers will offer an annual workshop on the plan or go over the specifics of the plan during orientation. If you are unsure of the type of plan that you are getting, your employer match, or anything else pertaining to the plan, talk to a human resource representative at your company. Once you understand all aspects of the plan, you will be able to make retirement planning decisions so that you can retire comfortably. Worth noting: Some agencies and companies have converted from a pension to a 401(k) plan, and if you are offered a pension this may happen to you as well. You need to carefully read the terms and conditions and review the benefit amounts you will receive when the conversion happens to make sure that your retirement still protected. Overall, a pension is a great retirement option, providing you are well-educated and work at a company long enough to reap the benefits. What Is a Chartered Retirement Plans Specialist (CRPS), and Do You Need One?